Jochen Brüning is a mathematician and science historian. Until 1995 he was director of the Institut für Europäische Kulturgeschichte and Professor of Mathematics at Universität Augsburg. Besides this he held positions at the universities of Duisburg, Munich and Marburg. Since 1995 he carries out his research at Humboldt-Universität zu Berlin as Professor of Mathematics with a focus on Analysis. 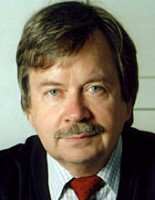 From 1999 to 2013 he was director of the Hermman von Helmholtz-Zentrum für Kulturtechnik based at Humboldt-Universität zu Berlin. There he investigated the diagram as a particular cultural technique and the interrelations of picture, text and numbers in the presentation, reception and impact of the Euclidean Elements. In Topoi I he was member of the research project Räumlichkeit und Erkenntnis. In Topoi II he continues his research in the history of science as a principal investigator of the research project (D-1-4) Organisation of Ancient Science.